Home / Sermon Prep / What to name the newborn? And I’m not talking about a newborn baby; I’m talking about you. Elizabeth and Zechariah have the tremendous task of naming their newborn son. Culture tells them to name the tike after his dad, but both Elizabeth and Zechariah take a radically different route, do not follow tradition, and name their miracle son John. Remember Elizabeth and Zachariah are a senior couple who, well beyond child bearing years, find themselves pregnant. This was no “Oops.” God’s plan was clear in this couple having this child. Both knew this and both listened to and obeyed the angel who told them the name of their son. Maybe you are aware of God’s plan in your life. If not, Christmas can one of the best times to experience God in a new and profound way through the presence of God on earth in the newborn Jesus. Like Elizabeth and Zechariah, how do you show you’ve been affected by God? 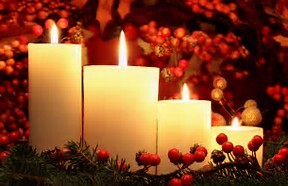 Secularists may name the “magic of the season” as the reason generosity has swelled in their heart and in their giving. After all, Christmas lights do have a lure, a pull. Festive parties and the retail hustle can charge some of us. Excitement is in the air. But let me ask again. How do you show you’ve been affected by God? Let me offer a suggestion in light of this scripture. Consider your name. I’m not suggesting you change it, but consider how God changes you—or can change you—if you allow His love to happen to you and through you this Advent season which begins tomorrow. I found an interesting site called http://catholicexchange.com/why-do-religious-change-name when preparing this sermon prep. Check it out. It speaks to how nuns and some priests change their name when they enter service to Christ. Again, I am not suggesting you change your name outright (the nametag thing on Christmas gifts later this month could be disastrous—yikes! ), but I do wonder if you have changed how you see yourself because to God you are a miracle child as loved and as revered as Elizabeth and Zechariah’s son. Know you are that loved. When you know this, you will make the difference. You will be the difference. PRAYER: I am new with you, O God, by way of Your Son, the newborn King. Let the Holy Spirit dance with and around me, making all things new this season. Amen.